Rupert founded Evolve Partners in 2000 based on an idea about how business consulting should be different – that clients should truly develop and learn from the process as well as achieving major financial benefits. Since then, he has helped many clients achieve significant shifts in profitability with further results continuing to be delivered long after the engagement has ended. 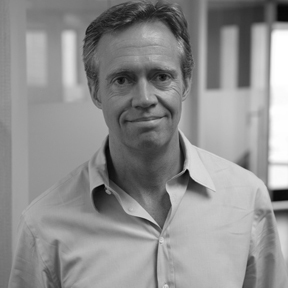 As CEO, Rupert is responsible for guiding the firm as it continues its path of successful growth, and for overall governance and the development of Evolve's unique brand and culture. Rupert cites the perseverance shown by NBA legend Michael Jordan as a significant influence. After failing to make his high school varsity team, Jordan dedicated himself to a strict regimen of constant improvement throughout his playing career. "Obstacles don't have to stop you. If you run into a wall, don't turn around and give up. Figure out how to climb it, go through it or work around it." Rupert applies this same philosophy to business challenges, and thrives on working through problems to develop innovative solutions with his clients and colleagues. Prior to founding Evolve, Rupert was a Senior Manager with Celerant Consulting. He holds a BSc from the London School of Economics (LSE) in Mathematics and Economics. Rupert's interests include personal fitness, basketball, Formula 1 racing, travel and wine. A London native, he now lives in Miami with his wife, a Russian-Australian artist. His favorite films include the Godfather trilogy and As Good as it Gets.